You ready to feel the rush once again? 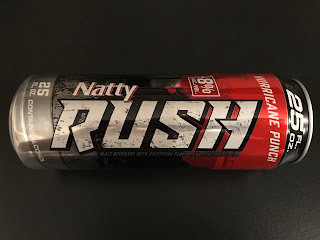 It was a couple months ago when I first featured the new Natty Rush series with Blue Frostbite as the BWB MBOTW, but after doing some searching this past weekend I was able to find a can of the Natty Rush Hurricane Punch and take things to the next level! 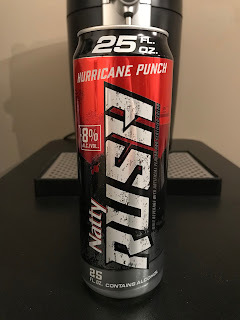 I do have to give the Hurricane Punch some credit. 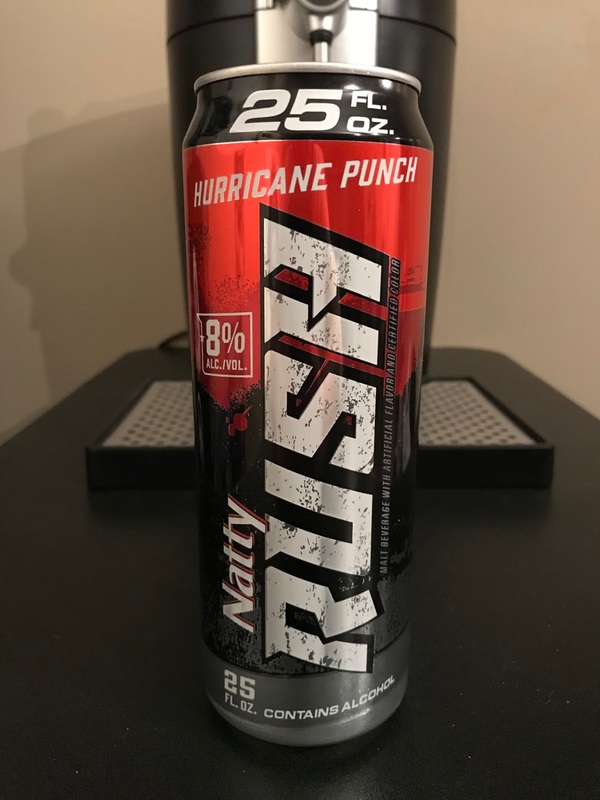 When I first cracked it open I did get a sense of a classic Hawaiian Punch smell, and the taste isn't that far off. 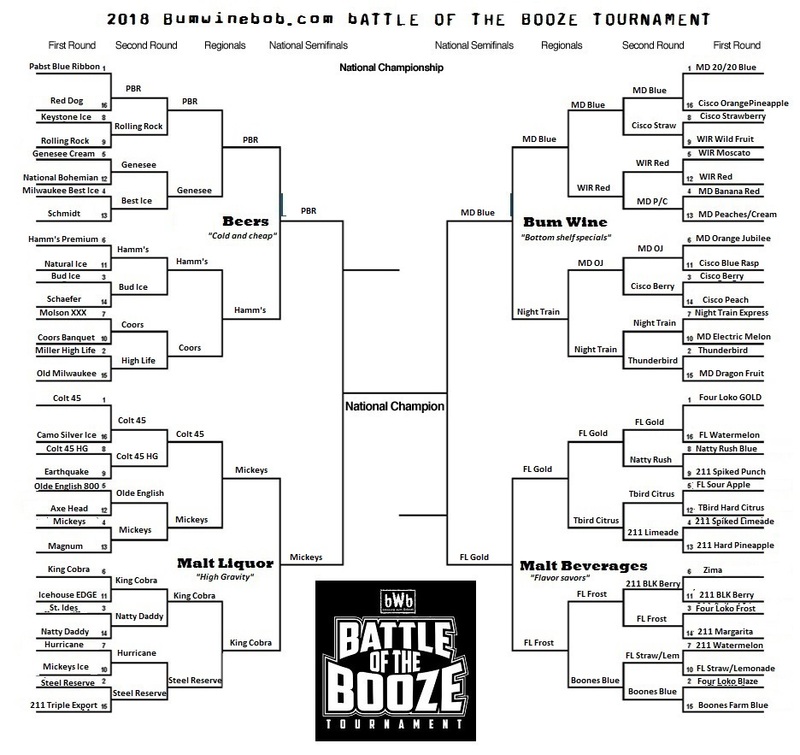 It's your standard "malt beverage with artificial flavor and certified color", so at 8% ALC./VOL. 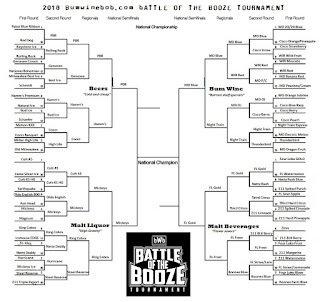 it will give you a little extra kick, but not quite at that Four Loko level of blackout city. Give it a try if you find it in your travels, because why not? 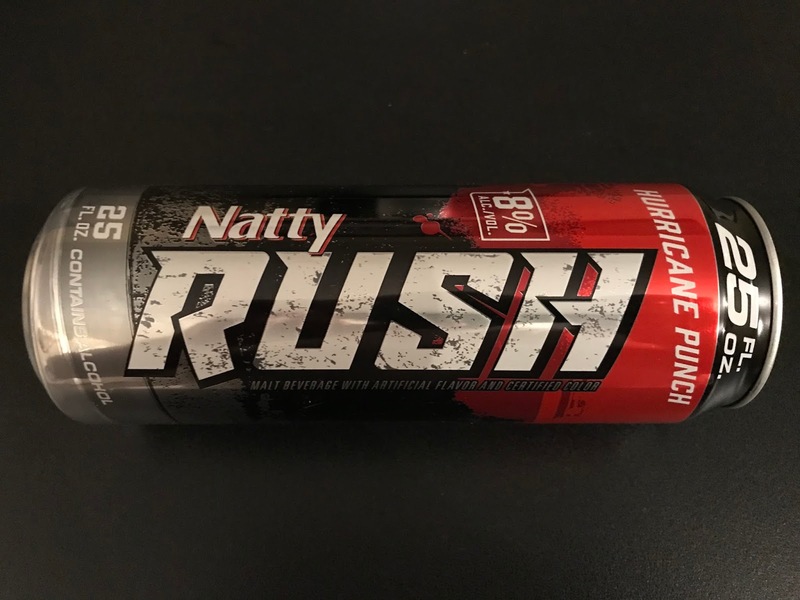 Natty Rush Hurricane Punch is the bumwinebob.com malt beverage of the week! 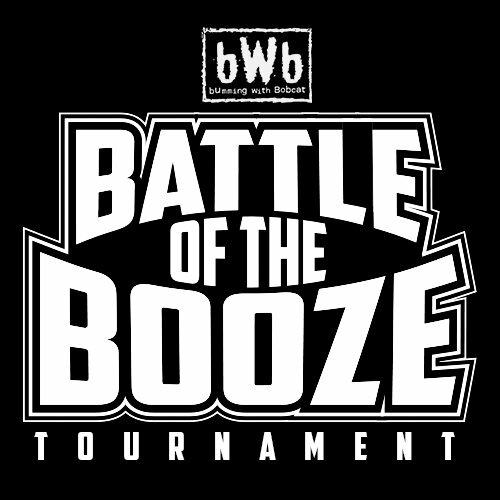 The final four is now set in the 2018 BWB Battle Of The Booze Tournament! 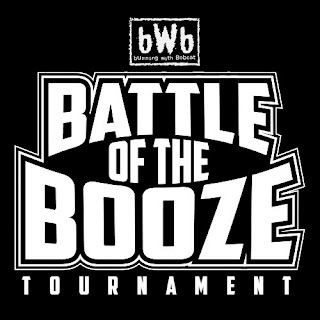 Polls will open on Sunday night as we get closer to crowing a 2018 BWB Battle Of The Booze Champion! 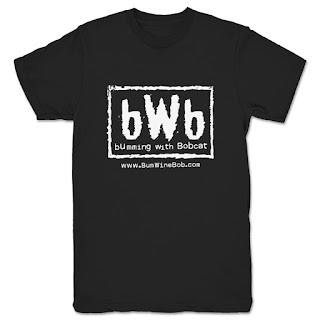 You can cast your votes at botb.bumwinebob.com and be sure to tell your friends!